Credit card consolidation loans allow you to combine the debt of several credit cards into a single payment. You do this by taking out a low-interest loan to pay off all your cards. 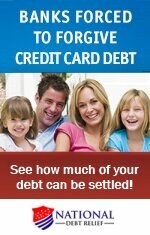 Your remaining debt then becomes that loan, which hopefully is more manageable for you to pay. If you simply can't handle or keep track of multiple credit card payments, a consolidation loan can help. It can lower payments because interest from credit card consolidation loans tends to be less than credit cards. Also, a longer loan term helps make payments lower. Moreover, one monthly payment is easier to handle than a range of payments due at different times of the month. With a single monthly payment at a lower amount, you are less likely to miss paying a bill and ending up with late fees. Late payments not only cost you money, but can also affect your credit rating. Consolidating all your debts into a single payment doesn’t always save you money. Probably the most obvious – and most ignored– issue related to a consolidation loan is that it can increase your overall debt, in some cases. For example, if you take out a large consolidation loan to cover all your existing debts, you now owe the principle loan amount, plus whatever fees and interest rate are associated with the new loan. Depending on these two cost factors, the difference could be small or considerable. That's why you need to do your research and compare your overall costs of moving forward with a loan relative to your current costs and payment obligations. In addition, if you’re working with a debt consolidation company, you need to consider any extra fees for services that will be added to the amount you owe. If your monthly payments are very low, it will take you a lot longer to pay off the debt. Depending on your interest rate, this could end up increasing the total amount you have to pay. Again, doing some comparative analysis is essential. Credit card consolidation loans are usually secured loans, and require that you "put up" collateral to protect the lender in case you default on the loan. Collateral can take the form of your home, car or other property of value. The collateral must equal or exceed the value of the amount you are borrowing. If you default on your loan payments at any point, you risk losing whatever collateral you put up for the loan, such as your home or car. And defaulting can have a devastating impact on your credit score. 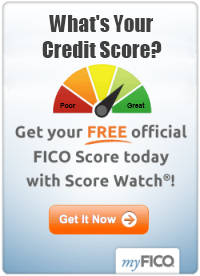 Qualifying for a loan requires a good credit score. If your current credit score is lower than 700, you might still be able to get a loan but your interest rate might be higher as a result. To learn more about qualifying for a loan, click here: credit card consolidation loan. So, before you decide to out a loan to cover your credit card balances, spend some time with a calculator and figure out if it's actually to your benefit. Your lender can help you run the numbers.